Tell President Obama to investigate the Burmese government’s role in recent violence against ethnic and religious minorities! Please take a minute to send an email to President Obama today to ask him to investigate the Burmese government’s role in recent violence. 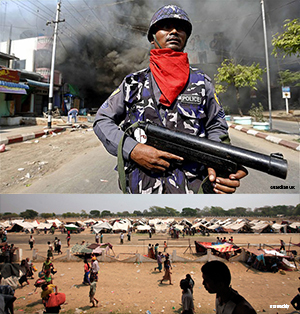 On March 20, 2013, anti-Muslim violence erupted across central Burma. Reports of direct government involvement in these acts of violence quickly surfaced, drawing attention to the government’s systemic abuse of power and complicity in crimes against humanity. Furthermore, President Thein Sein has publicly announced that he would use force against those involved in the anti-Muslim conflicts. The Burmese government rarely sees value in restraint and is predisposed to use violence to control violence – a tactic that results in further impunity and injustice, which in turn fuels more violence. The government has most recently wielded its abusive power not only against the minority Muslims, but also the Kachin and Letpadaung mine protestors. Impunity and shameless disrespect for the rule of law must no longer be tolerated by the international community. In order to attain peace, people in Burma need justice and accountability from their government, not imposed states of emergency and threats of military force. The international community must push for justice and accountability in Burma to stymie future violence and ensure a system of legal recourse and redress for victims. The war in Kachin state has been ongoing for over two years now and the U.S. government continues to refuse aid to the Kachin IDPs. 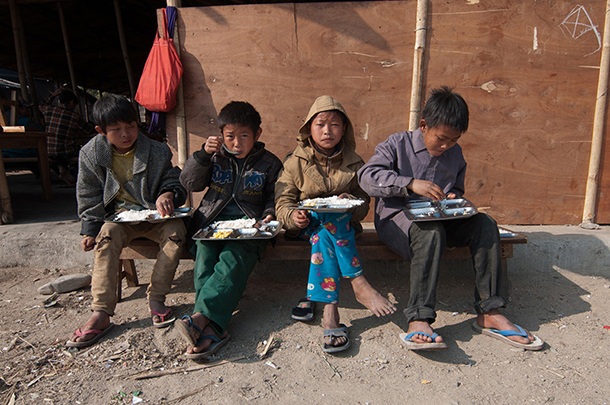 Tell USAID to urgently provide lifesaving aid to all Kachin IDPs today! The Burmese government claims they have fulfilled their promise to the international community that all political prisoners have been released, but this is far from true. 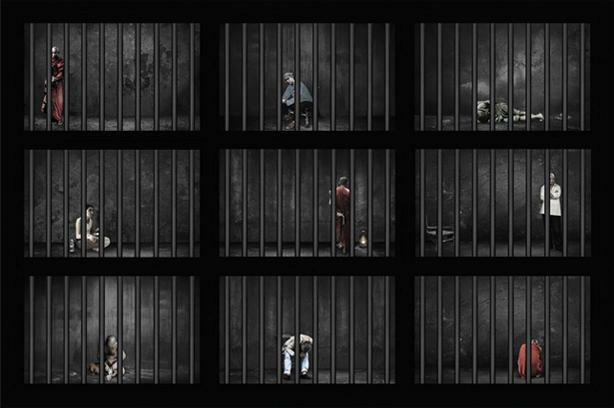 Hundreds of ethnic Rohingya and Kachin remain behind bars, and many activists have been arrested and detained without cause. Take action today! On November 18, 2013, Representatives McGovern (D-MA), Pitts (R-PA), Franks (R-AZ) and Smith (R-NJ) introduced a resolution in the House urging the Government of Burma to end the persecution of the Rohingya people and respect internationally recognized human rights for all ethnic and religious minority groups within Burma.Please contact your representative and urge them to co-sponsor H. Res. 418 which presses for an end to persecution of the Rohingya community in Burma. Click here to enter your zip code to determine the contact information for your representative. If your representative is a Democrat, have them contact the office of Rep. Jim McGovern (D-MA) at 202-225-6101 to co-sponsor. If your representative is Republican, have them contact the office of Rep. Joe Pitts (R-PA) at 202-225-2411 to co-sponsor. I’m at a loss as to what I can do about the situation in Burma. The email updates describe what is happening but seem to have no action part to them, no embassy to email or something like that. If there could be some action part of each one that would be great. I imagine you know this already. It’s probably the result of dealing with a government that doesn’t seem to care what the outside world thinks. Maybe it would take a campaign to reach business that deal with the government to tell them to stop. There’s lots of deep thought about these things since there are often unintended consequences. Many thanks for all your labors! Dear Friends: I am interested in posting the latest news about Burma on my blog and of passing it along to my friends. The cause of Burma and the cause of Tibet are of deep interest to me as a Buddhist and activist who is deeply concerned about human rights issues around the globe.